This dessert was originally served in a punch bowl with liquor poured on one layer, giving it the name Cherry-Pineapple Punch Bowl Cake, also known as a tipsy cake. 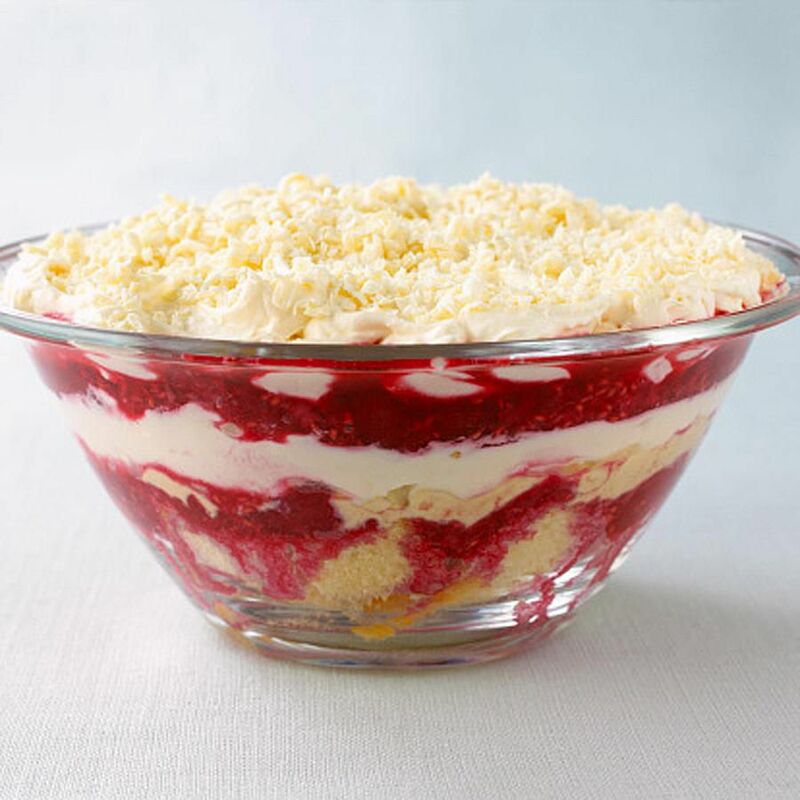 Served in a trifle bowl without liquor, this recipe is just as festive as the original. In the bottom of a glass-sided bowl, sprinkle half of the cake cubes, making sure the cubes spread to the sides of the trifle bowl. Spread one half of the drained pineapple over the cake cubes. Again, look at the sides of the bowl making sure a true layer of pineapple shows around the sides of the bowl. Spread one half of the pudding onto of the pineapple layer. Next, spread one half of the whipped cream over the pineapple layer. Spread one half of the cherry pie filling over the whipped cream layer. Repeat all layers once again, beginning with the rest of the cake cubes and checking the sides of the bowl for pretty layers. Chill punch bowl cake at least one hour and serve.